During Race Week at the Indianapolis 500, we introduced the new NKCF Ambassador, Gabby Chaves. Gabby (Gabriel) Chaves is a 24 year old with Keratoconus who likes to drive fast. Real fast. 200 mph fast. He is a professional Indycar driver who started racing and winning before he was a teen. At 17, he headed for the European race circuit and enjoyed more success. 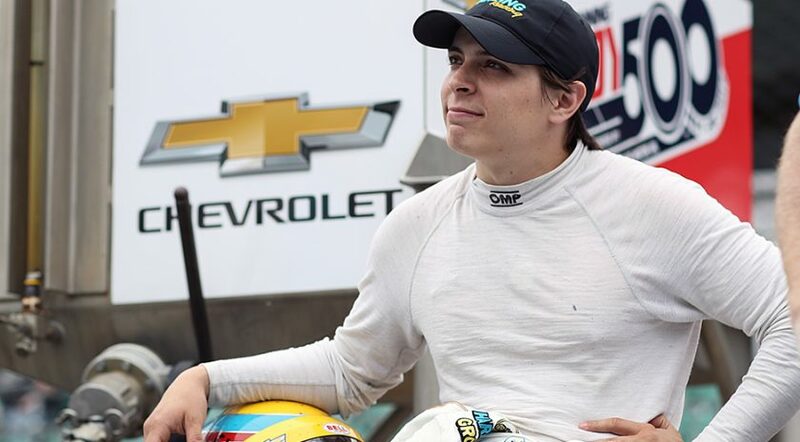 Gabby returned to the U.S. at age 19 and had a break-out year, earning the Indycar Rookie of the Year title in 2015. This year, he is driving for Harding Racing, an Indianapolis-based team. In the video (right), Gabby tells how he almost failed his eye test in 2017 and risked losing his professional racing license. Like many, he had never heard of keratoconus and had no family history of the disease. He quickly educated himself and decided to have CXL. He now wears Blanchard OneFit MD scleral lenses at the track and at home. Gabby’s story should inspire people living with KC who fear they have to give up hobbies or occupations they love. Gabby was willing to share his story so that others with KC can pursue their dreams – no matter how unlikely. By the way, Gabby finished 14th in this year’s Indy 500, his best finish of the year. Enter the NKCF Indy Contest! We encourage all friends of NKCF to visit www.HardingRacing.com to learn more about Gabby, and to follow Harding Racing on Facebook and to like our new NKCF Ambassador, Gabby Chaves, on his Facebook and Instagram. Dr. Paul Blaze, OD, of Coast Optometry recent had the opportunity to interview Gabby for NKCF. 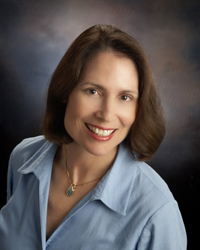 Dr. Marianne Price, PhD of the Cornea Research Foundation of America surveyed 448 patients who had undergone epi-off cross-linking and found that patients who were under the age of 20 when they were treated were happier with the results than older patients. She also found that patients whose KC was mild when they underwent treatment were highly satisfied and would recommend the procedure to others. The survey results reinforce the value of early intervention and treatment. To read more about the article published in the Journal of Cataract and Refractice Surgery, click here. 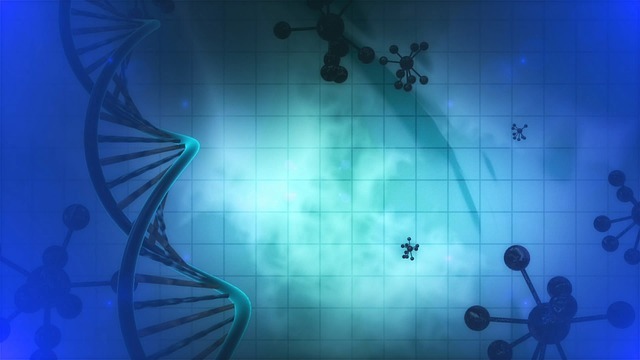 Avedro recent announced that they reached agreement with the FDA to begin the first Phase 3 epi-on cross-linking clinical study for patients with progressive keratoconus. For more information on the study, and a list of participating locations, visit clinicaltrials.gov and enter the keyword ‘keratoconus’ and ‘epi-on’. New sites will be listed as they become available. This study, as is typical for FDA drug trials, will be conducted at no cost for participating patients. We will share more information as it becomes available. 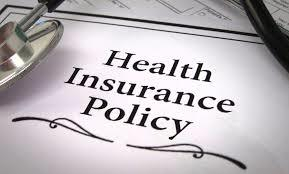 In other good news for CXL, one of the larger insurers Blue Cross/Blue Shield of Florida has added the procedure to its list of covered services. This decision will impact close to 4 million beneficiaries in Florida. 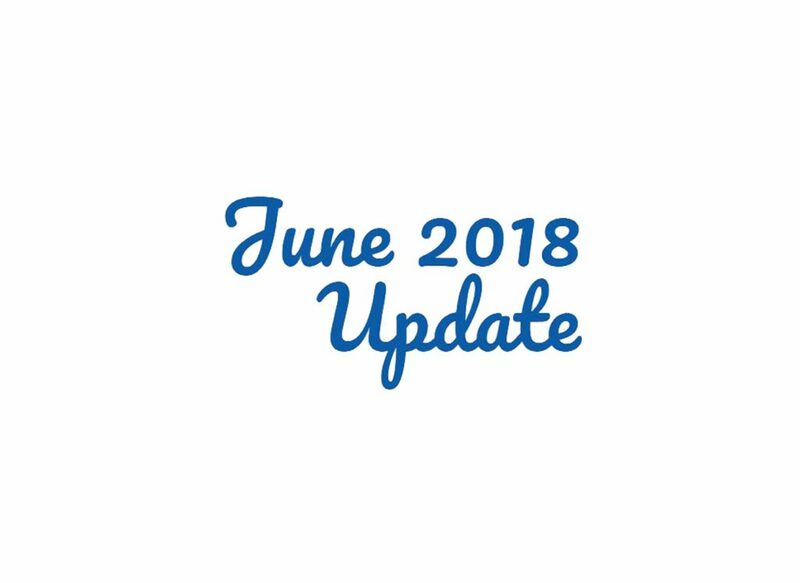 Other plans that have added CXL as a covered service are Capital Blue Cross in central Pennsylvania with 767,000 enrollees, Health Alliance Plan of Michigan (534,000 covered lives) and BCBS of North Dakota with 363,000 members. Each month more plans recognize that CXL is the standard of care for progressive keratoconus. That brings the number of people whose insurance plan covers CXL to over 100 million. If your plan does not cover the procedure, or even if it does, you should work with your eye surgeon before you schedule CXL to understand your financial obligations. After a successful NKCF Family Symposium at the Kellogg Eye Center in Ann Arbor, Michigan in May, we are on the road to Chapel Hill, NC. 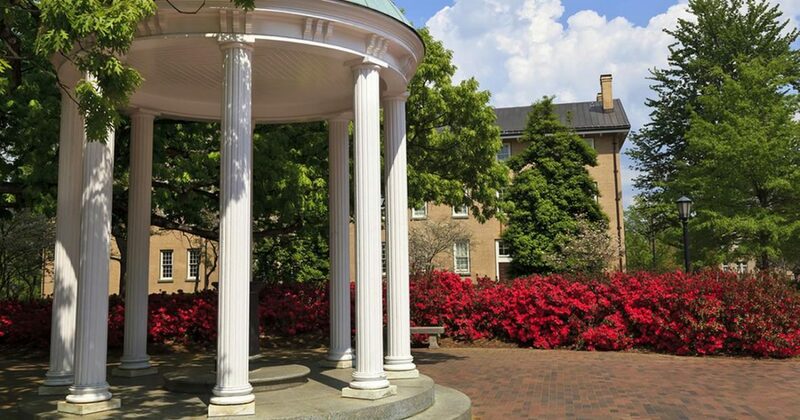 A Family Symposium will take place on Saturday, June 23 in association with UNC’s Kittner Eye Center. Individual registration is $25 and includes breakfast and lunch. The event features a $50 family ticket, where up to four people can attend for the price of two. Anyone interested in learning more about living with KC is especially encouraged to attend. 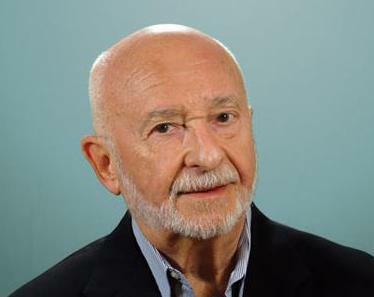 Dr. Perry Rosenthal, MD, passed away at age 84 in March. His name is familiar to some members of the KC community, since he was once regarded as the last hope for patients headed for a cornea transplant. While working at Harvard’s Mass Eye & Ear Infirmary, Rosenthal noticed the disastrous effect when the cornea’s access to oxygen was blocked by contact lenses. 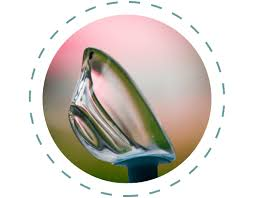 He started rethinking scleral lenses which originally were made of glass and had fallen out of favor. In 1990, he and colleagues published results of 15 patients who had been fit with individually fabricated lenses, now known as PROSE (Prosthetic Replacement of the Ocular Surface Ecosystem) lenses. Initially patients were required to come to the BostonSight offices in Needham, MA to be fitted. The process included specially trained optometrists measuring, designing and fabricating individualized lenses. Patients would stay on site for several days getting accustomed to the lenses. While the cost and time involved is significant, patients who have been unable to tolerate contact lenses are extremely loyal to PROSE. Today, there are 12 U.S. centers in the BostonSight PROSE Network, located in academic centers. Patients still participate in an intense four-day to 2-week training period before they are sent home with their PROSE lenses. In 2017, using data collected from fitting over 7,000 PROSE lenses, BostonSight developed a new scleral lens. The BostonSight Scleral is more economical than the PROSE lens, customized if not individualized, and available in the offices of more than 150 optometrists in the U.S.
Click here for information about BostonSight scleral lenses. More Allergies? Worse Allergies? What is the KC Connection? Like the chicken and the egg, does vigorous eye rubbing cause keratoconus, or do people with KC rub their eyes more? Researchers surveyed 2,411 patients about allergies and KC. Read about the paper from the results here. Take a moment to tell us about your allergy experience. We’ll publish results in a future newsletter. Our Docs are Truly the Top! 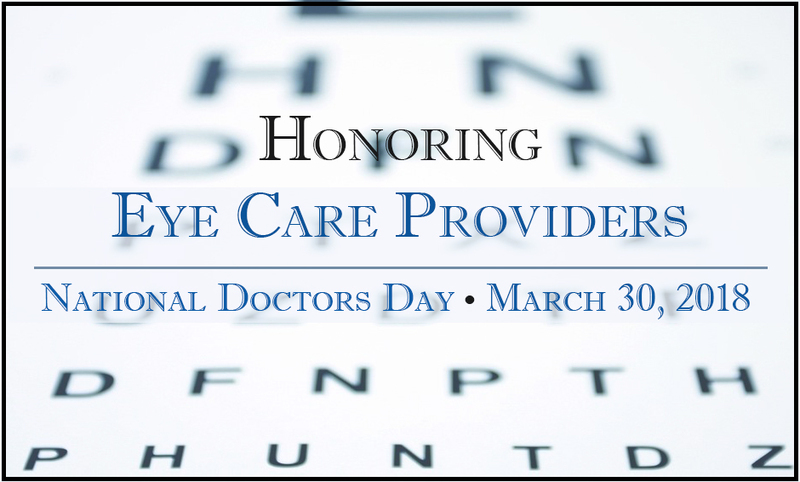 NKCF asked readers to nominate outstanding eye doctors in celebration of National Doctors Day. Thank you for your response! Over 100 optometrists and ophthalmologists were named to the NKCF Honor Roll. See the entire list here. Two common themes were identified: the best doctors were those who exhibited clinical expertise and exhibited kindness and empathy. Patients repeatedly wrote that their favorite doctor was willing to take extra time to reassure and answer questions. We also selected one MD and one OD to represent this year’s group as the Best of the Best. Our Top Docs of 2018 are Dr. Joseph Shovlin, OD of Northeastern Eye Institute in Scranton, PA and Dr. Eric Donnenfeld, MD of Ophthalmic Consultants of Long Island, NY. To read more about them, visit the NKCF Blog. For the first time, NKCF will be hosting a booth at the National Down Syndrome Congress, an annual convention that draws thousands of parents, family members, caregivers and professionals. Keratoconus affects between 5-15% of individuals with Down syndrome (DS); a much higher prevalence than the general population. Since people with DS may not complain about changes in vision, and often have multiple health issues, vision problems – including screening for keratoconus – can be overlooked. We are using this visit to educate caregivers about keratoconus and to encourage families to have their children with DS evaluated for KC. 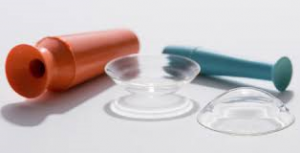 The March 2 E-Update used this beautiful picture of a custom scleral lens in a story about corneal transplants. The photo should have been credited to Dr. Greg Gemoules, OD, who fits customized scleral lens (LaserFit) at his Dallas office. We forgot to credit him and wanted to show you how unique and elegant this custom lens is. It is not too early to start thinking about World KC Day. The annual event falls on a Saturday this year, so we intend to spend the entire week from November 4-11 raising awareness. 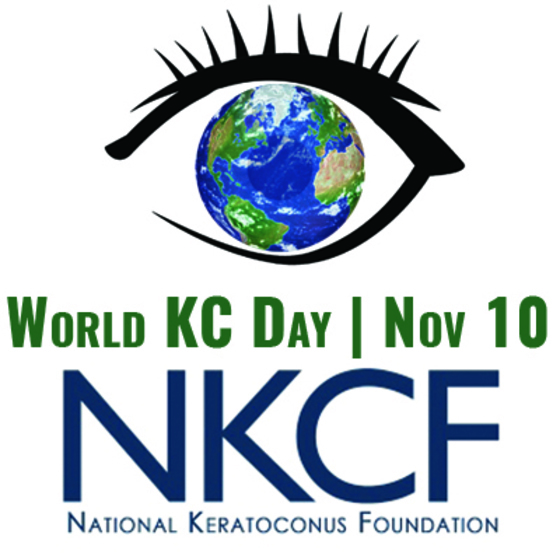 Put yourself on the KC World map, and remind kyour eye doctor to spread the word on social media. Share your ideas and inspiration on www.worldkcday.com. Diane Messemer lives on Long Island with her two sons. Her 16 year old, Thomas, was diagnosed with KC last year. She wrote about her feelings of helplessness on a blog you’ll find on our website, and how she initially combatted the stress she felt by running. 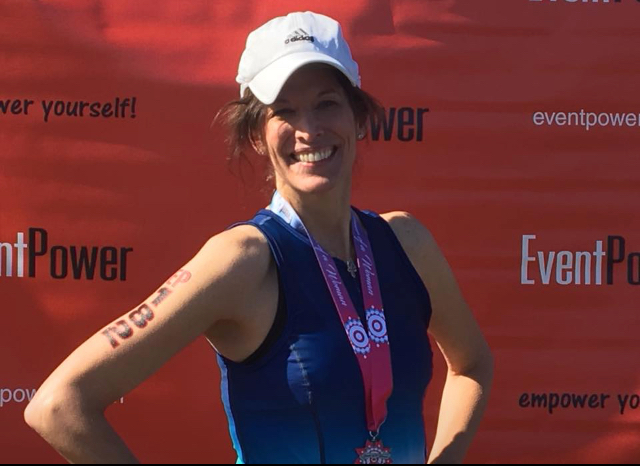 This August, Diane will be participating in the Oyster Bay Triathlon. She has vowed to raise money for NKCF to help teenagers like Thomas. You can read her inspirational story and visit her GoFundMe page.